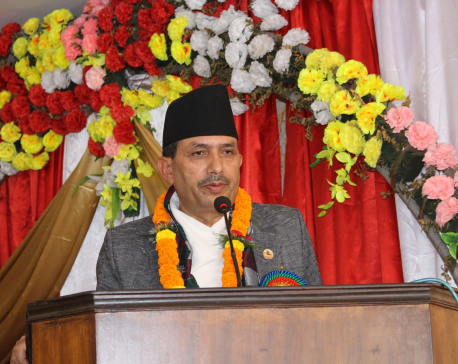 KATHMANDU, Nov 8: Minister for Law, Justice and Parliamentary Affairs Bhanu Bhakta Dhakal said he will devote to the entire development of Tehrathum district without any prejudices. Speaking at a Deusi-Bhailo program organized by Tehrathum Sarokar Samaj on the occasion of Deepawali in the capital today, Minister Dhakal said he will leave no stone unturned to cooperate for the development of the district as he has emotional attachment with the district. 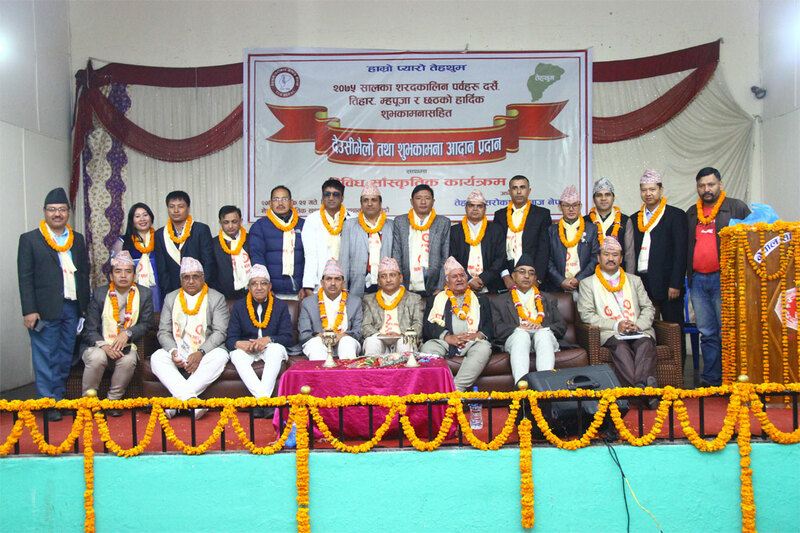 “Such kinds of greeting-exchange programs do not only promote brotherhood among Tehrathum people living across the country but also foster unique cultures and traditions of the district,” added Dhakal. Appreciating the step taken by the Samaj, Dhakal believed that the collected fund will be utilized in the social service sector of the district. Speaking at the program, Mohan Kumar Dangi, chairperson of the Samaj, said that the collected amount will be used for the welfare of the needy and those in crisis in line with the set objectives. 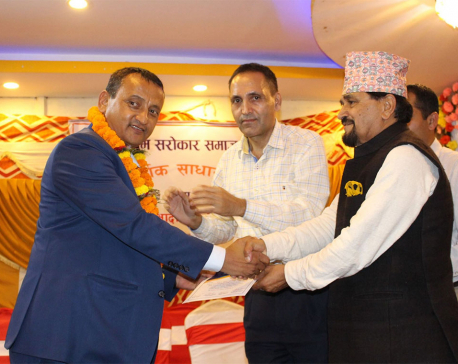 “The Samaj has raised over Rs 1.25 million in a single day through Deusi Bhailo program”, informed Haripati Lal Shrestha, Vice Chairman of the Samaj. The cultural programs included Chyabrung Dance, Maruni Dance, Panche Baja to make the participants feel as if they were watching Deusi-Bhailo in their own home district. Former State Minister duo Sita Gurung, Tulasi Subba, Chancellor of Nepal Academy Ganga Prasad Upreti, Member of the House of Representatives Dr Bijaya Subba, advisors of the Samaj among others exchanged Deepawali greetings at the program. Meanwhile, Senior Vice Chairperson of the Samaj Dilli Ram Duhungel delivered a welcome speech and shed light on the objectives of the Samaj during the program. Inaugurated by lighting a lamp by Minister Dakal, the program had been conducted by General Secretary Keshab Bhattarai.